than the bounty of the sea? Distressed Italian seafoam bowl and shells, $145. Shells and accessories from $8. We call it ‘Refined Coastal’. that are of the sea. And we’ve got it all! Turquoise sleeper in SUNBRELLA, brand new for $1,295, 75″w. Marine color hand-embellished floral artwork, $165 40″square. Starfish table lamps, $125 ea, 35″h. Rope design and striped pillows $24 ea. brand new swivel chairs for $495 ea, 34wx35dx31.5″h. Sea turtle art $125, 29″ square. A companion is also available. Like-new Mango wood buffet $895, 66wx 45”h. Cream tufted wing chairs $425 ea, 30wx33dx41h. Teal abstract $236, 59wx47″h. Mongolian fur pillows $85 ea. Blue table lamps $95 ea, 34″h. Uber glam gold coral figurines, $62 ea. Round tray $20. Even if your style is uber glam, you can still add touches of coastal. Gold credenza $795, 80x19x34.5h. Pinks and golds abstract $225, 48×36. Starfish table lamps $125 ea, 34″h. Accessories $18-24. Build an amazing room around the fabulous mix of color in this large floral, $245, 50″ square. Navy lamps $225 ea, 26″h. our price $625, 71.5”. 6 drawer tall chest retails at $1329, our price $795. 44x20x64h. Bedside tables, $830 online, our price $425 each, 30x18x30h. Aqua bubble table lamps, $125 ea, 27.5″h. Aqua abstract art, $95, 26×38″h. Blues and greens always work for coastal lifestyles. Ivory sunbrella sectional, brand new for $1,895, 92×92. Coffee table – a consignment steal at $95, 48wx28dx18″h. Green abstract on right, $157 50wx40″h. Blue skies artwork $125, 40×30″h. Teal artichoke figurines $62 ea. Pillows $12-24. These fabulous pineapple tables are showstoppers in trending gold. Two available, $275 ea. 20.5” diameter 27”h. or anywhere you want a little extra touch of coastal. 6″ $14 each. 3″ $10 each. Great gift idea, too! ‘Sitting at the dock of the bay, watching the tide roll away.’ Gorgeous seafoam 4 door mirrored credenza $895, 70wx16dx34″h. Pier art $145, 56wx24″h. Turquoise glass table lamps $95 ea, 21.5″h. Striking weathered wood door panels, $225 ea, 21.5×77″h. Wheat queen sleeper, $1,095, 75″w, (can also be ordered in other fabrics). Pineapple tables, $275 ea. Antique white table lamps just $95 ea, 33″h. Walnut cube ottomans on sale for $45 each. These chairs coordinate nicely with the vignette above…in subtle tones of aqua, red, brown and beige, brand new for $395 each. FLAT OUT AWESOME, we have all fallen in love with these genuine leather modern recliners. They retail online for $2099, our price $1,695 ea and they are brand new manufacturer samples. A consignment score…this Bramble wall unit retailed for $1,500+, our price $795, 53.5x16dx79″h. Shorebird giclee, $295, 49×17.5. Carved boxes with drawer $62 ea. Small basket $18, large square basket $26. Sea accessories $8-$18. We are all swooning over this chandelier. Neutral wood is elevated with this gorgeous trellis pattern work and rustic finish. Two available, $345 ea, 19″ diameter x 33.5″h. Feeling the call of the WILD? Zebra canvas $225, 42×59, lamps $50 ea, 31”h, wormwood media console $325, 84x19x20h. More neutral goodness…Pottery Barn Barry Ludlow 4-drawer chest in on consignment, $425, 60wx20dx27.5h. Lamps $50 ea, 31”h. Metal sunflower art $195, 40” sq. On consignment, Canadel 60” round pedestal table, 30”h, $1,095. Tan Pottery Barn taupe chairs with nailhead trim, $165 ea, sold in pairs only. Sail away art $395, 39×59. Lg lantern, $78, sm $58. Sea blue sofa, $850, 75″w. Companion tropical thicket art in marine hues, $245 ea, 29w x 37″h. Teal ceramic accent lamps $85 ea, 22″h. Stormy weather art $125, 26×32″h. Pillows $22-24. Fine art turtle giclee, $275, 38” square. Brand new SUNBRELLA denim blue sectional, $1,995, 112”x86”. Excellent condition Thomasville coffee table retails for $549, here just $175, 58x28x21”h. End tables available for $75 ea. On-trend shell motifs are showing up everywhere, indoors and out. Two faux high end agave plants in gorgeous ivory planters, $125 ea. Planters are 14”h. Yum…your home can smell as good as it looks. Crushed herb, citrus, and moonchild, just $18 ea. Refined Coastal means entertaining in style. These fabulous trays are perfect for sharing some mojitos and appetizers with great friends. In lime and marine blue, just $52 ea. Large scale, 22” diameter. Urban, rustic and coastal all in one… $140 for this abstract artwork, 41.5 sq. Ginger jar $85. Blue and white jars $32 ea. Pottery Barn mercury glass lamp, $125, 32”h. Designer faux fern bunch stems, $42 ea. Sorry, dresser is sold, but we do have some similar styles in the store. Welcome Home! Ethan Allen buffet and hutch retails for $2,400, our price $595, 66x19x76h. Coral sofa, a steal at $395, 86”w. Floral companion art, just $34 ea, 24” square. Companion fish oil paintings $145 ea, 20.5×28.5″h. Mermaid console table $145 45.5x13x31″h. Tropical pelican side table $95, 19.5x18x27″h. Designer faux grass $18. Rope ball $14. Every beach house needs some barstools, and we have the perfect fit. 30″ bar stools $125 ea. 24″ counter stools $95 ea. for just $295 ea, 16x16x34″h. You can almost feel the sand in your toes… white media cabinet, $550 50x18x26”h. Dune walk textural art, $145, 29.5×39.5h. Distressed pineapple lamps with linen shades, $95 each, 35”h. Shell ball accessories $10. Just in on consignment. Good looking pub set with 4 stools just $450. 42” diameter as shown, plus a 18” leaf. EMERALD is hot in design…and here you go. Notice the fab black faux bamboo frames, too. to purchase what you see on our online store! Coastal FABULOUS. 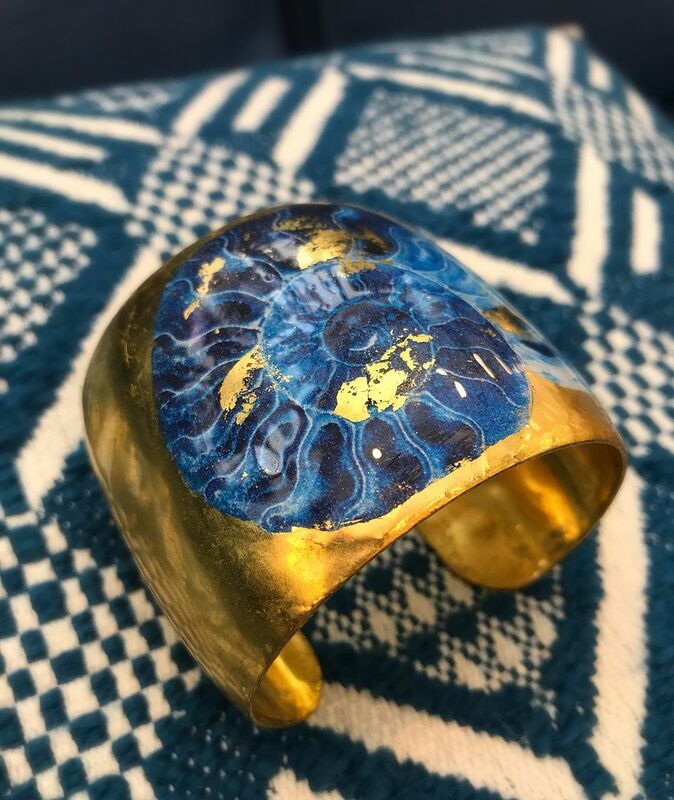 Evocatuer Nautilus cuff, $348. 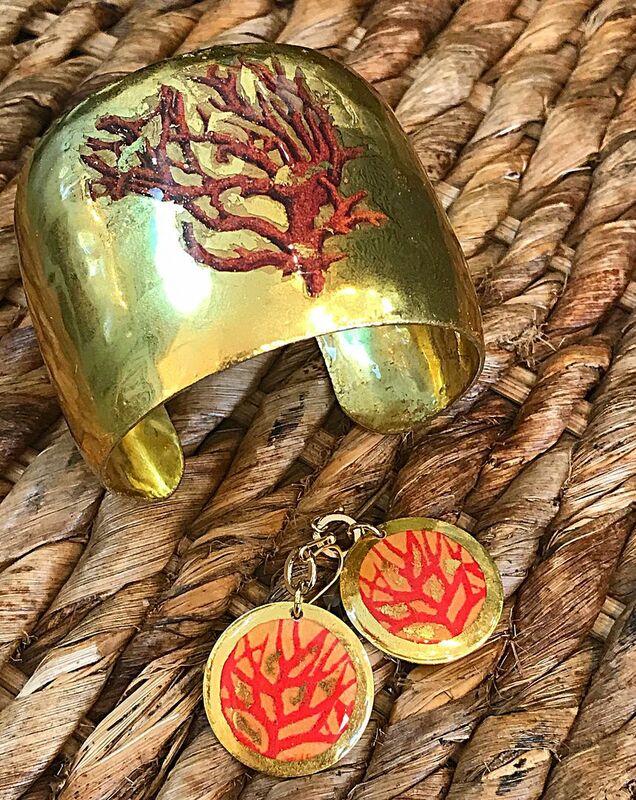 Coral cuff and earring set from Evocateur, in 22k yellow gold leaf. 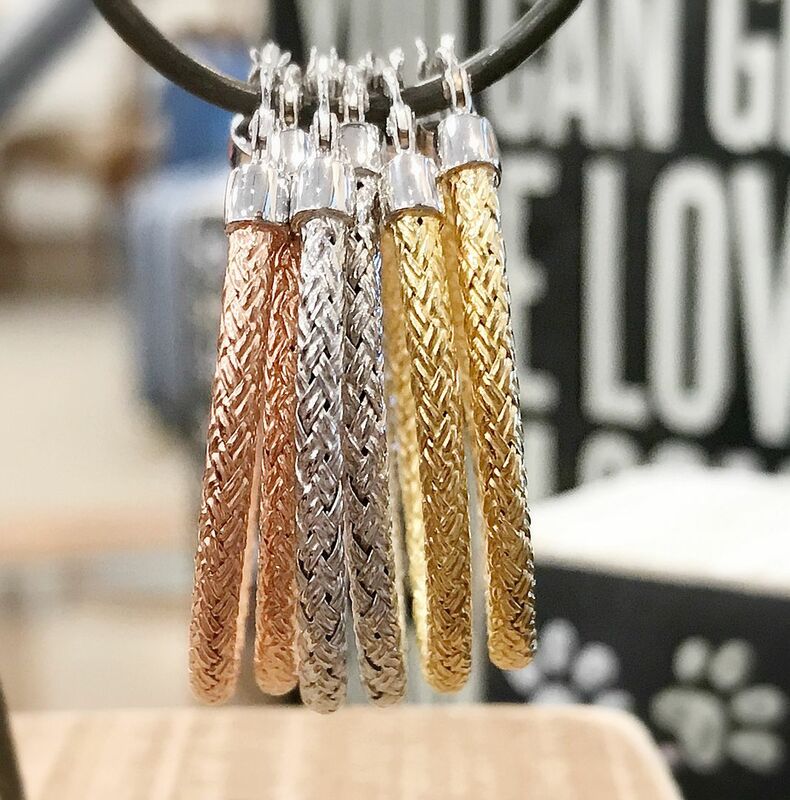 Earrings $148. Cuff $348. Don’t forget you can click on the image to buy it now! click image to see the entire Maralahgo collection. 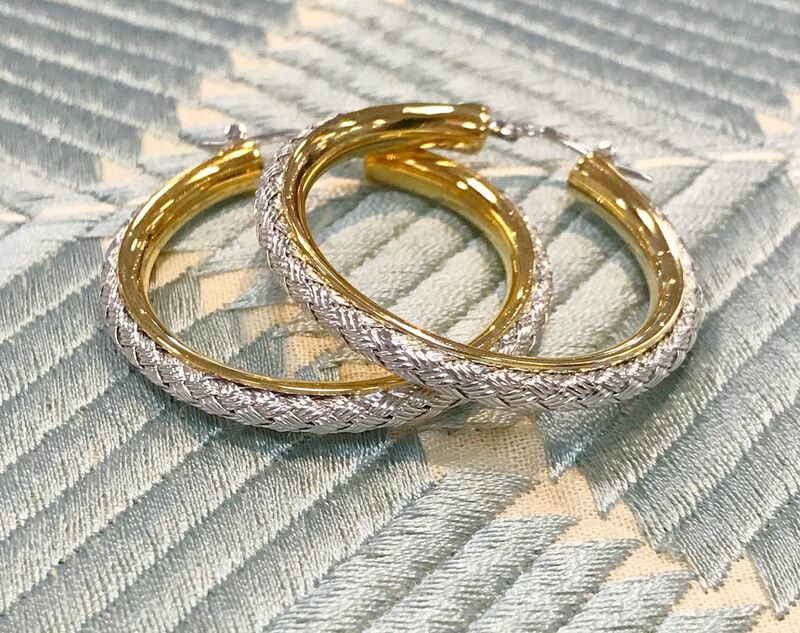 in stainless steel and 18k yellow gold. 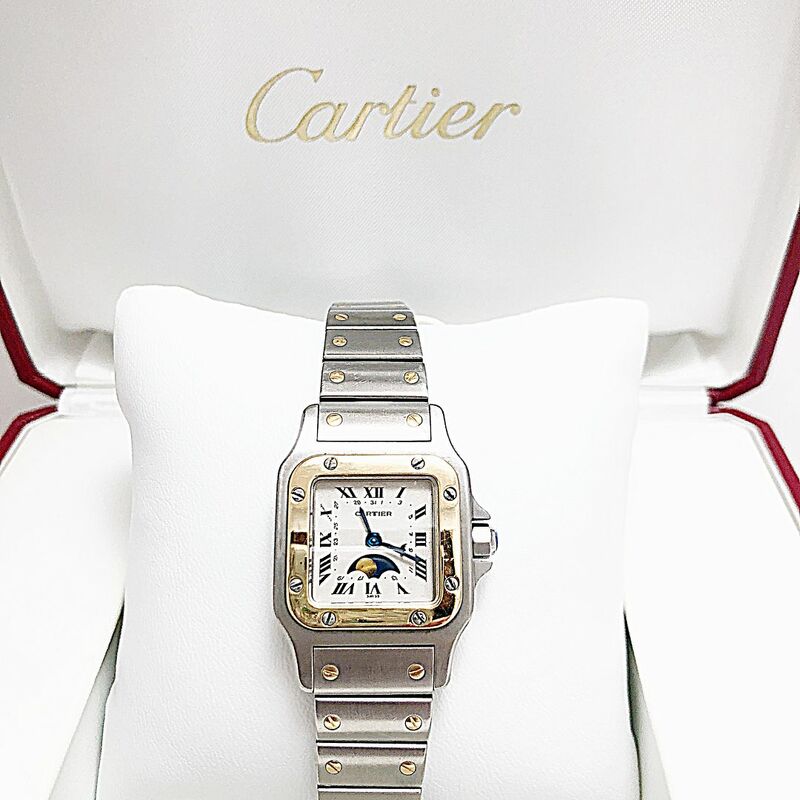 $2,795. 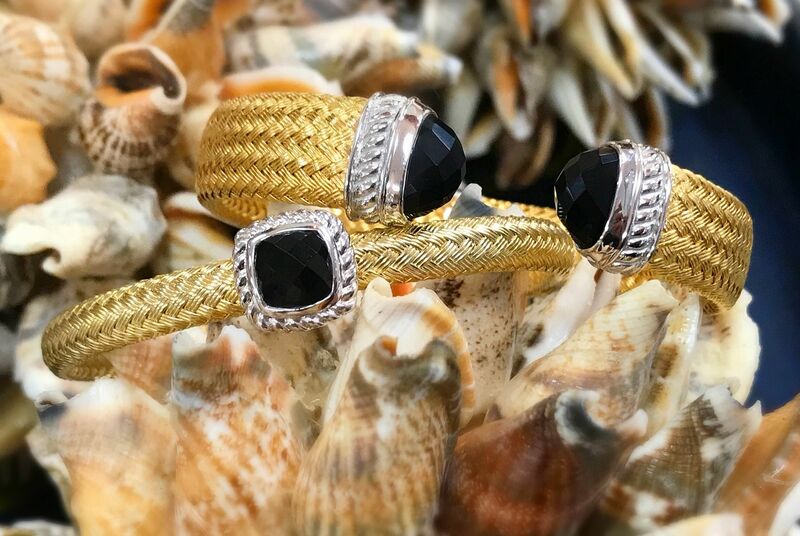 This seastar is modeling these gorgeous stackable bands. .09ctw diamond wedding band. $525 ea. Lumina Gem signature collection .37ctw and 14ky gold wedding band, $975. 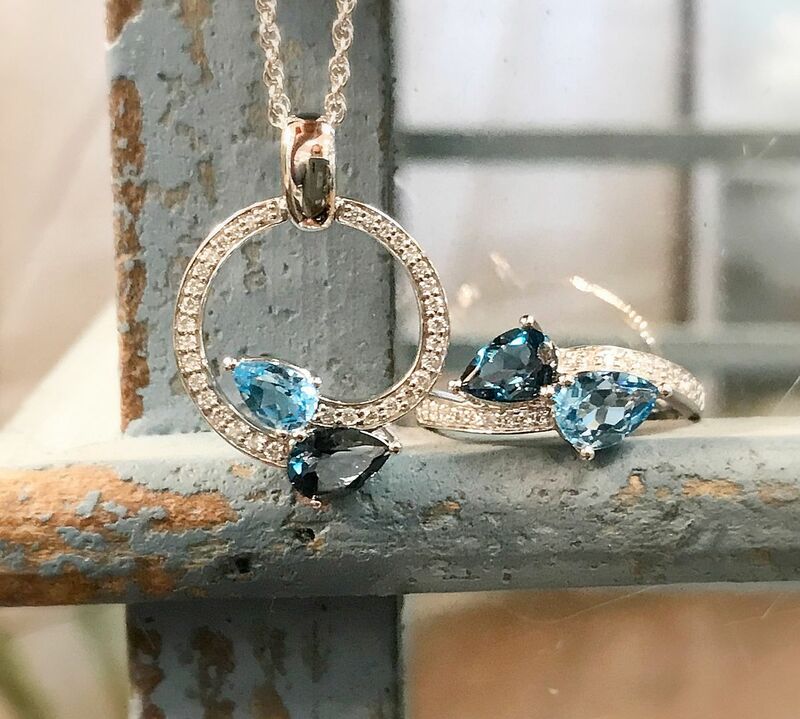 Blue topaz beauties in the colors of the sea. 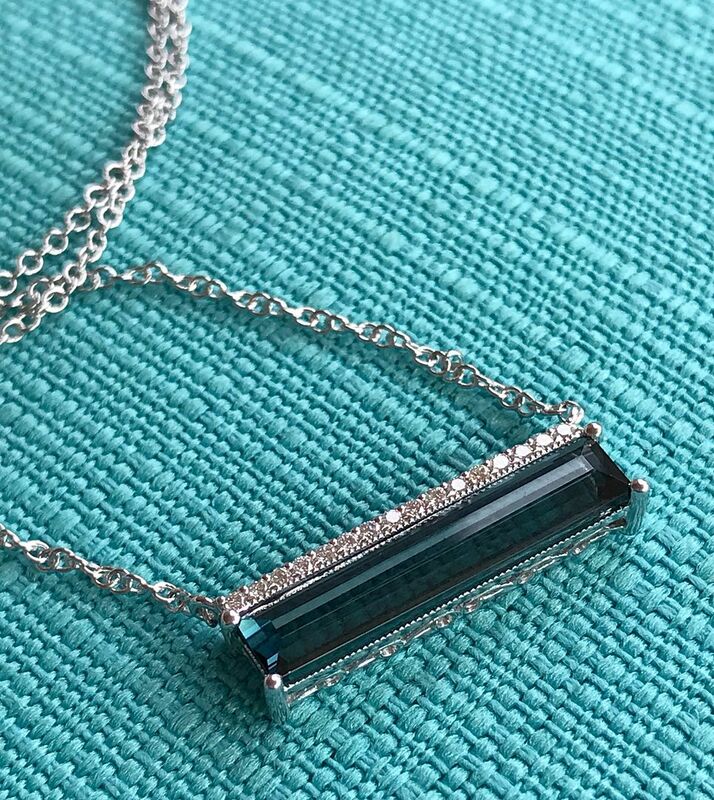 1.52ctw London blue and blue topaz necklace with diamonds. 14k white gold 18 inch chain, $1,275. 1.52ctw blue topaz and diamond ring in 14k white gold, $945. 1.79ctw blue topaz with diamond halo ring in 14k white gold. 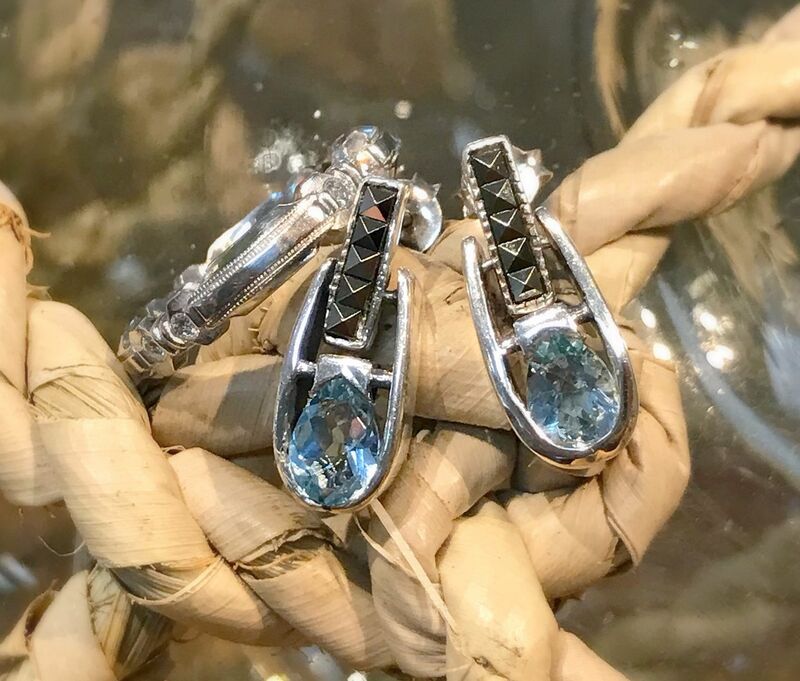 2.10ctw blue topaz with diamonds dangle earrings in 14k white gold, $1,125. 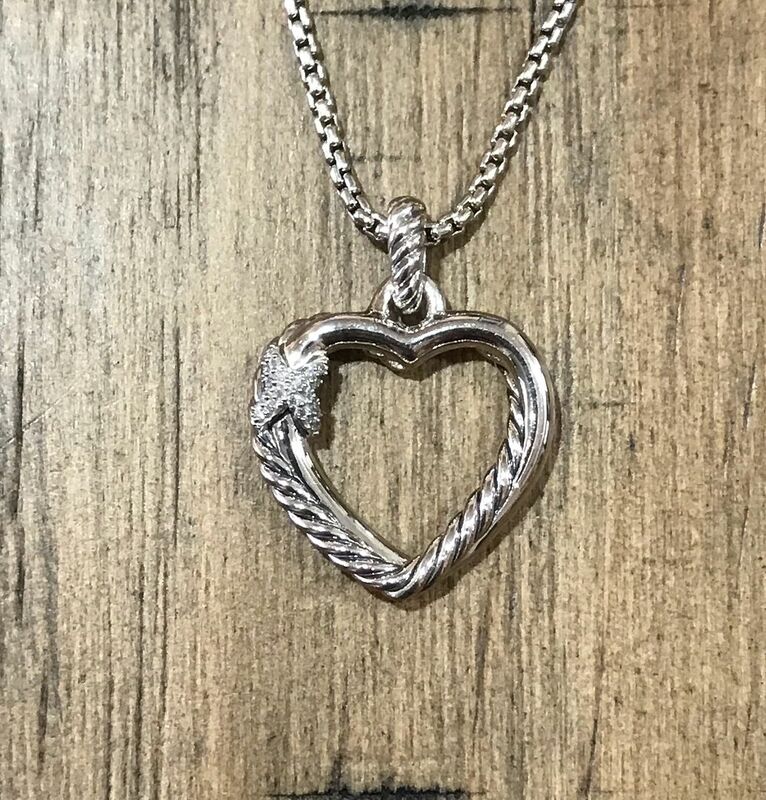 14k white gold rope chain, $945. 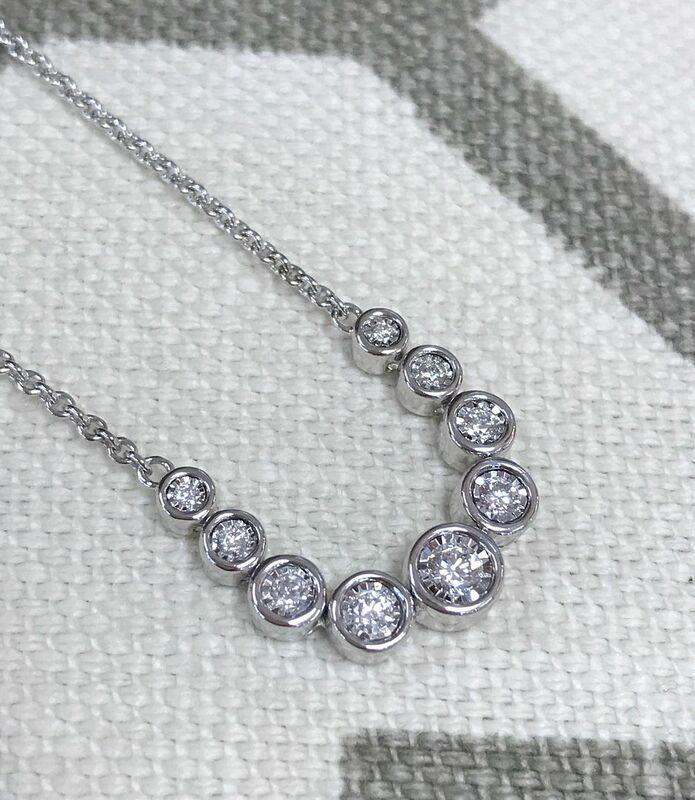 .10ctw diamond necklace with 14k white gold chain. 17-18 inch adjustable chain, $655. on 18 inch white gold chain, $1,295. 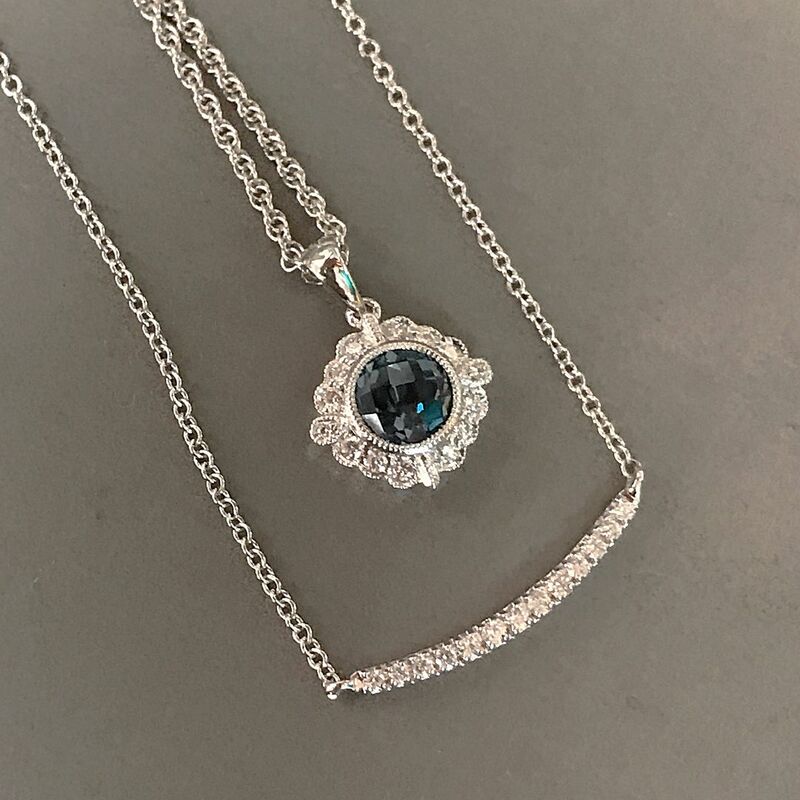 2.70ctw London blue topaz pendant with diamonds on 14k adjustable 18 inch white gold chain. .38ctw diamond fashion ring in 14k yellow gold, $1,895. 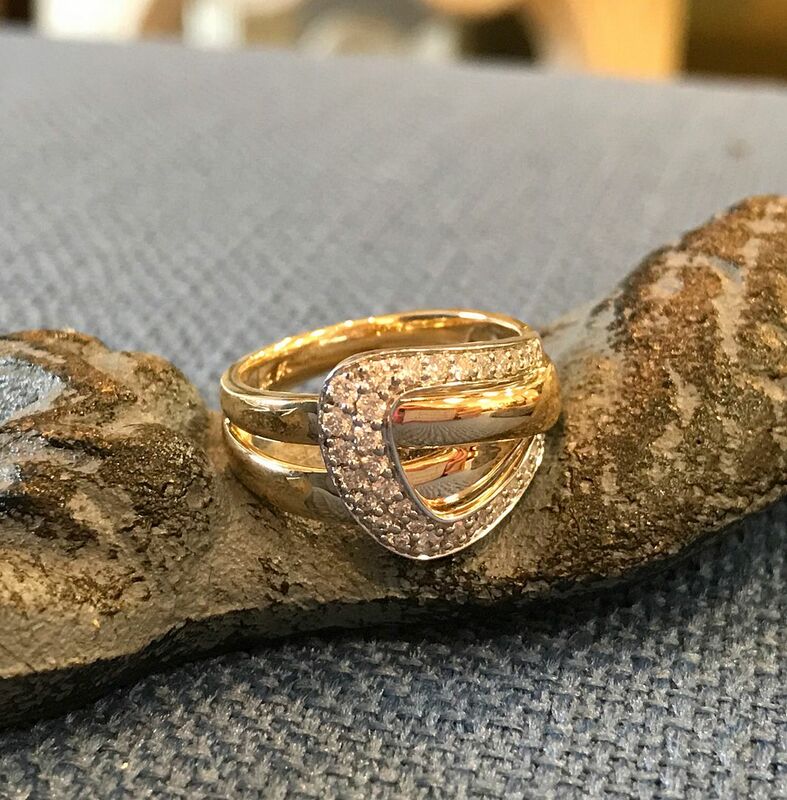 .25ctw diamond bubble ring in 14k yellow gold, $1,595. .12ctw diamond circle necklace on 14k yellow gold 18 inch rope chain, $1,295. 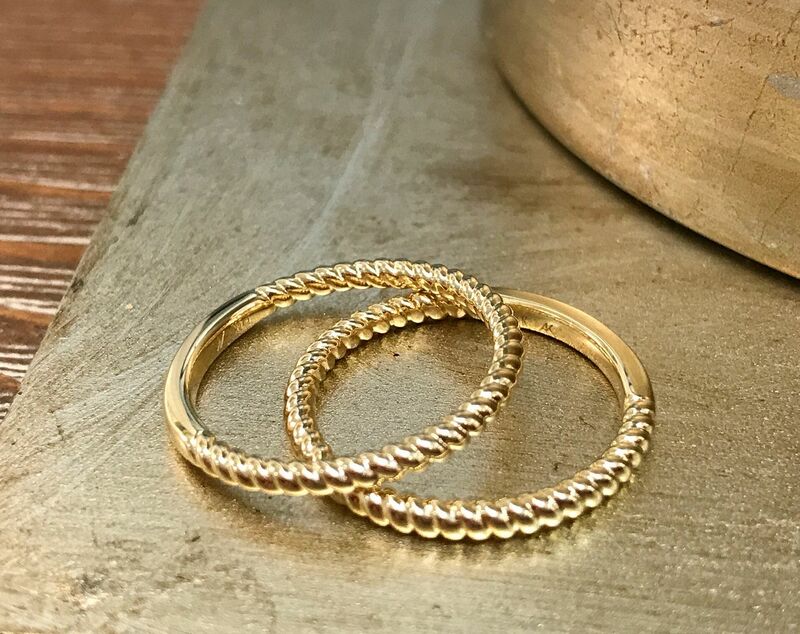 Wedding bands in 14k yellow gold. Classic, elegant, beautiful. $325 ea. 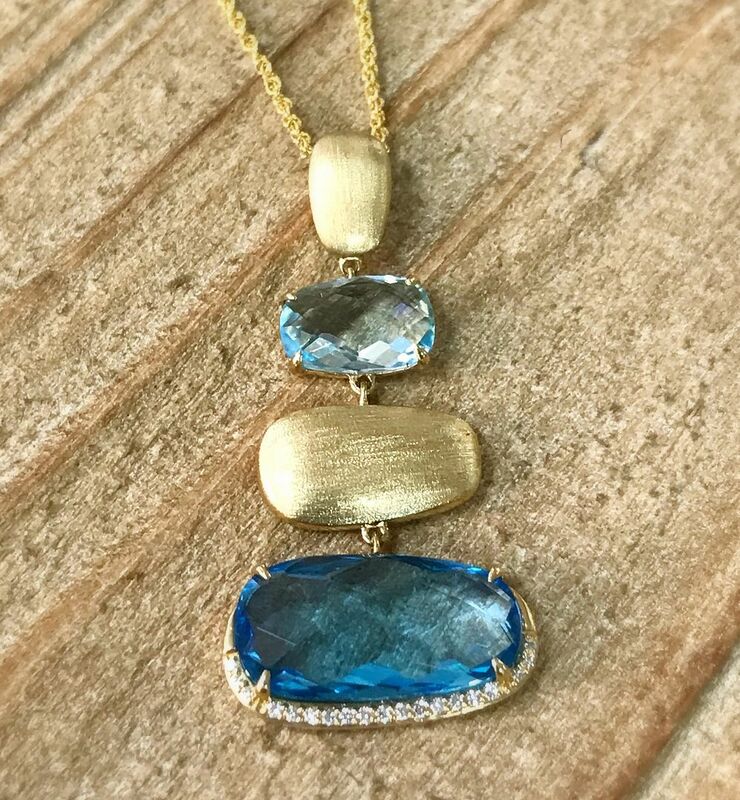 13.75ct blue topaz with .12ctw SI clarity G color diamonds set into 14ky gold 18 inch necklace, $1,195. On left, “Rosie” sterling silver/18k rose gold. Center: Sterling silver. On right: SS/18yg finish. $90 each. 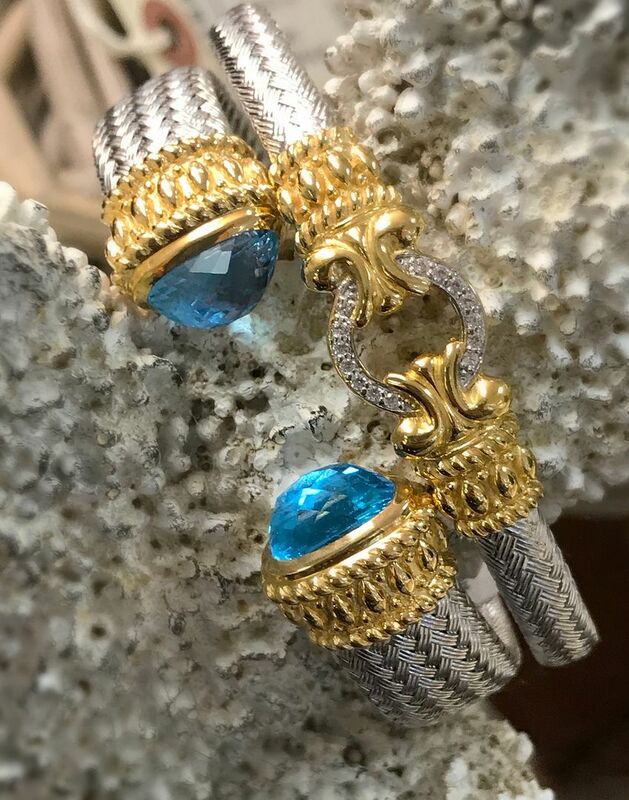 Coral provides a great backdrop to model this 18k gold vermeil over sterling silver 13mm cuff with blue topaz, $695. “Sauli” sterling silver/18kyg finish cuff with white sapphires, $495. 16mm sterling silver/18k gold finish woven cuff with black onyx, $750. Onyx and 18k vermeil 6mm cuff, $335. 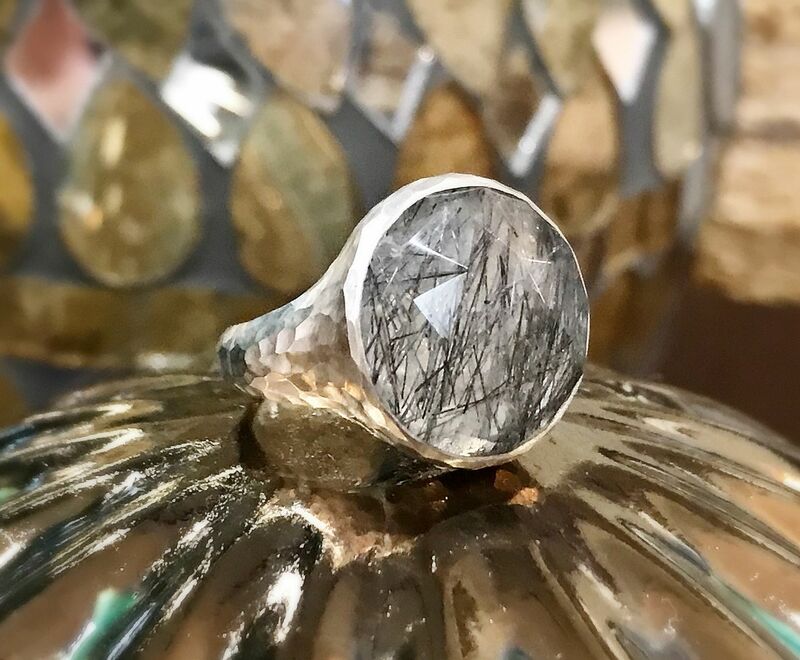 Nina Nguyen balance rutilated quartz ring in sterling silver, $295. 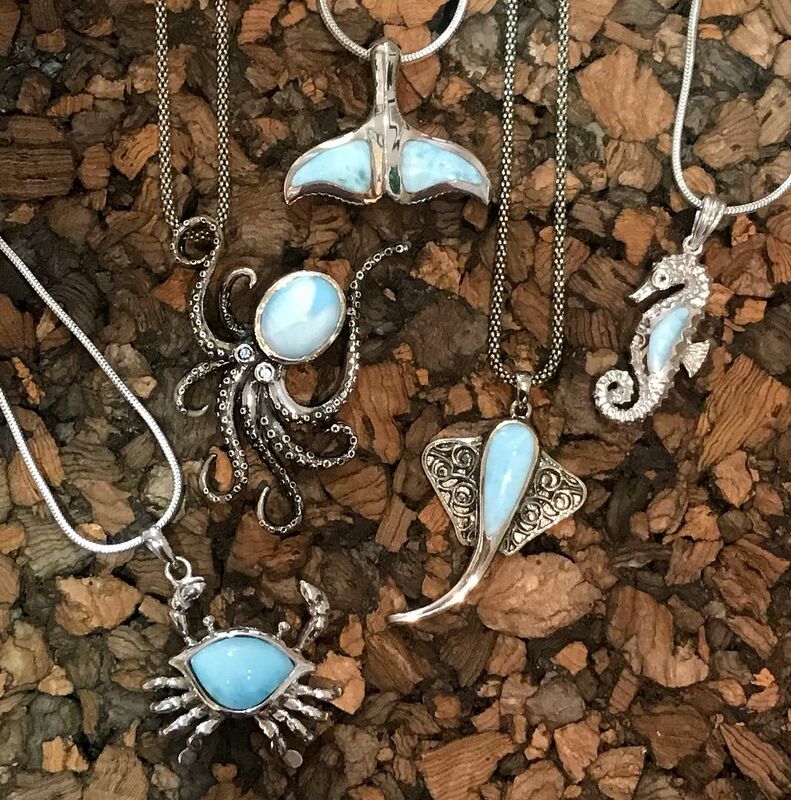 Necklaces from Nina Nguyen… what style is yours? Beaded bohemian? Silver rings? Mix and match? Prices from $195-$495. 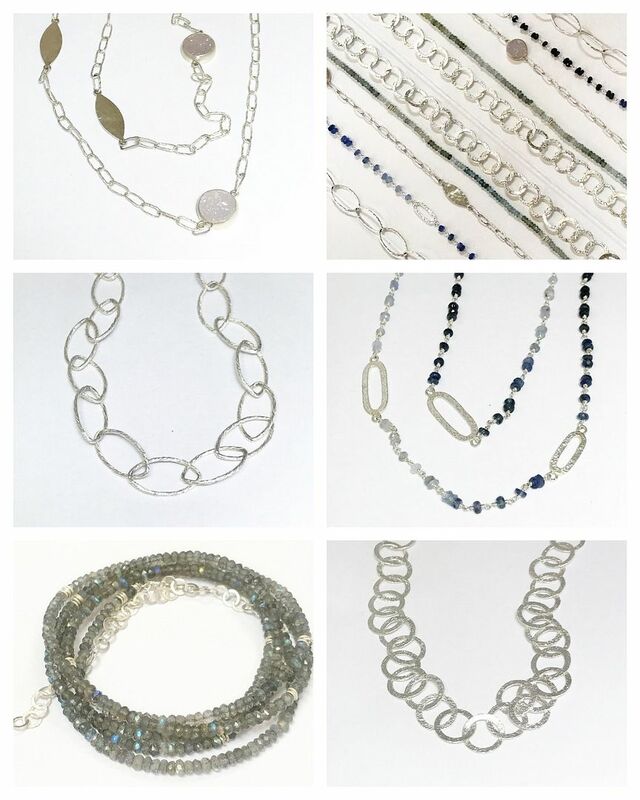 Click the photo below to shop for these and more from our collection of Nina necklaces. Dreamy druzy aquamarine ring in sterling silver. “Adorn” petite teardrop black druzy ring in sterling silver. 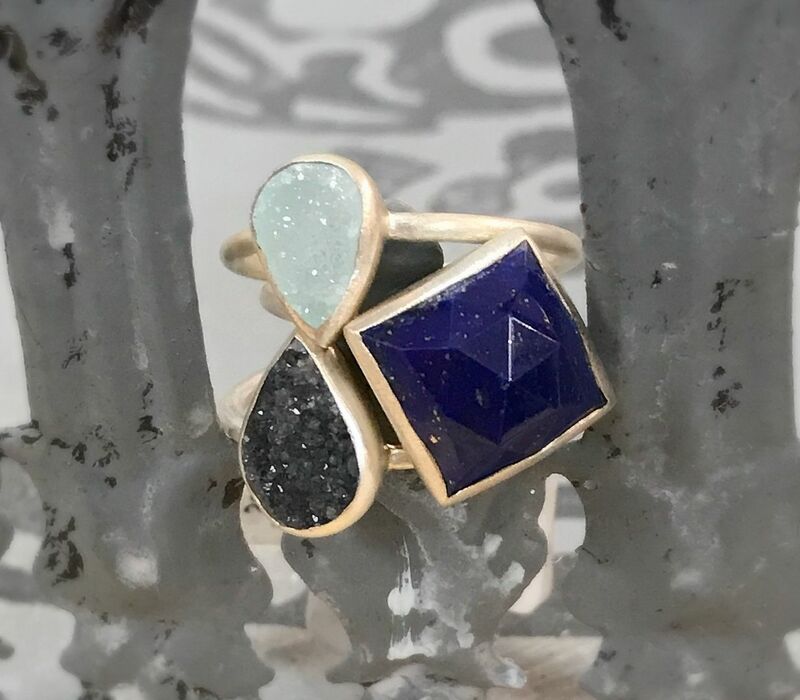 “Spirit” silver ring with lapis. All rings $195 each. 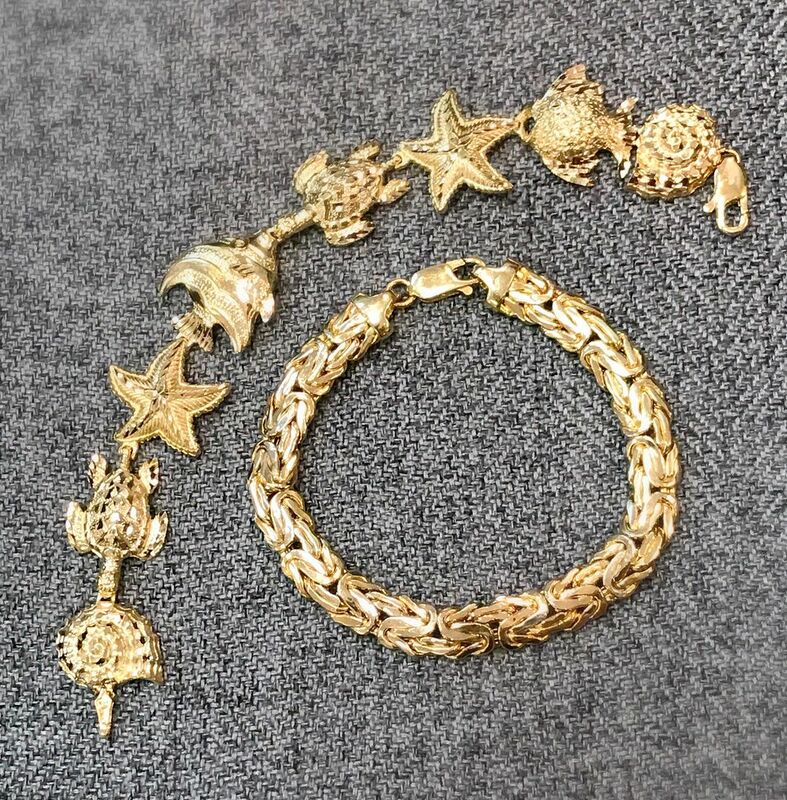 She sells seashell bracelets… in 14k yellow gold. 19.9 grams. 7 inches, $895. 14k yellow gold byzantine bracelet. 15.4 grams. 7 inches, $695. 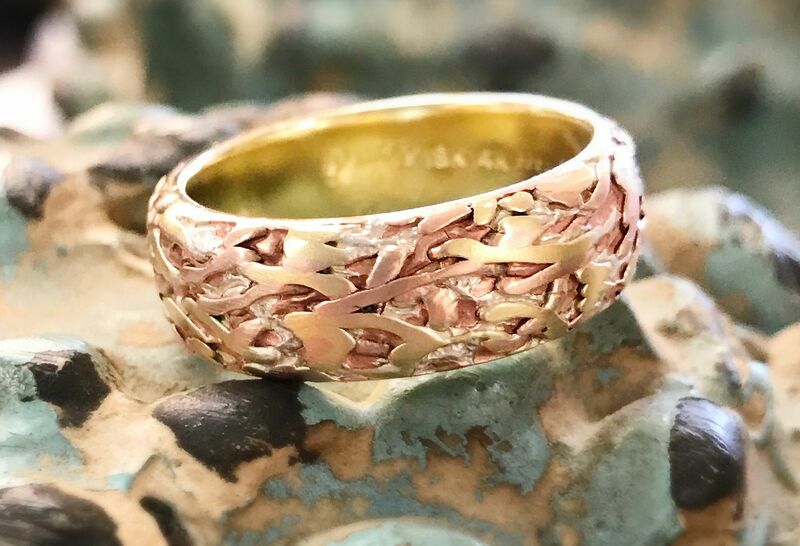 and 14k rose and yellow gold, $1,595. The ocean’s most famous treasure…pearls. Mabe pearl earrings in 14k yellow gold with omega backs, $295. 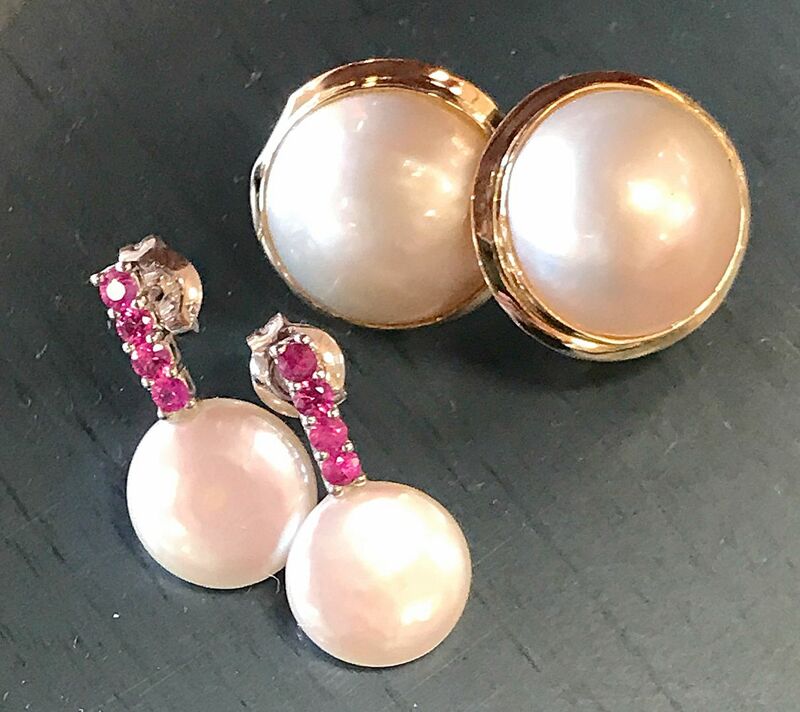 Biwa pearl earrings with pink sapphire in 14k white gold, $295. 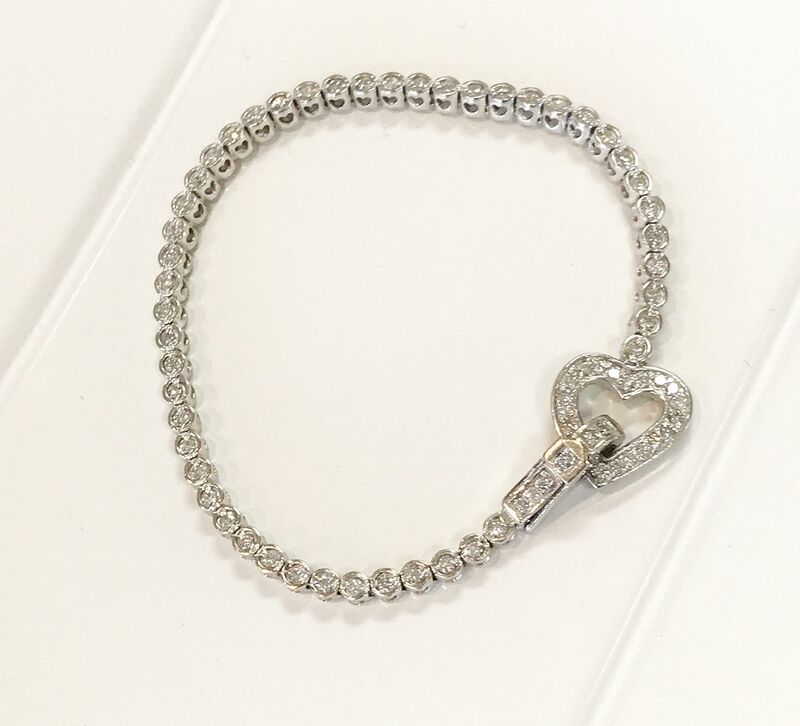 Just in – 1.5ctw diamond bezel bracelet in 14k white gold with heart clasp with safety. H-I color. SI2 – I1 clarity. 7 inches, $2,195. 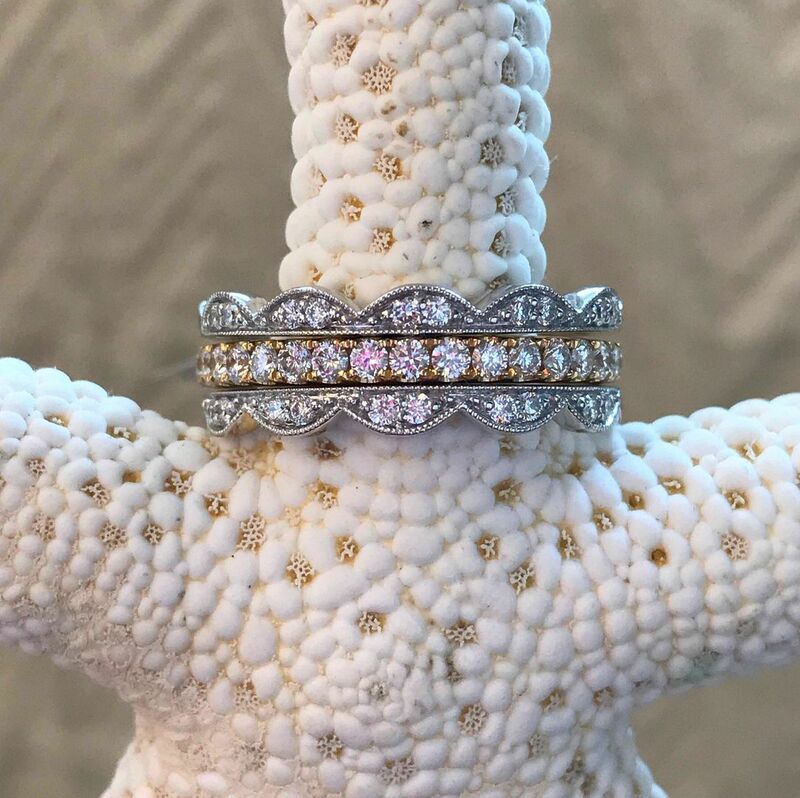 VanCrynest handcrafted .16ctw diamond band in platinum, $1,195. 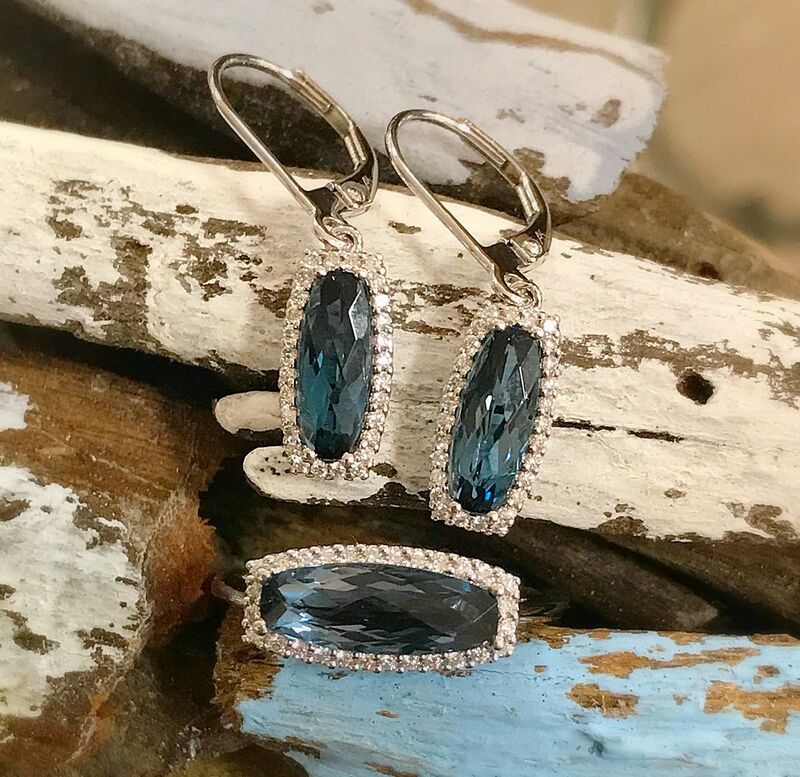 Blue topaz and marcasite earrings in sterling silver, just $75. 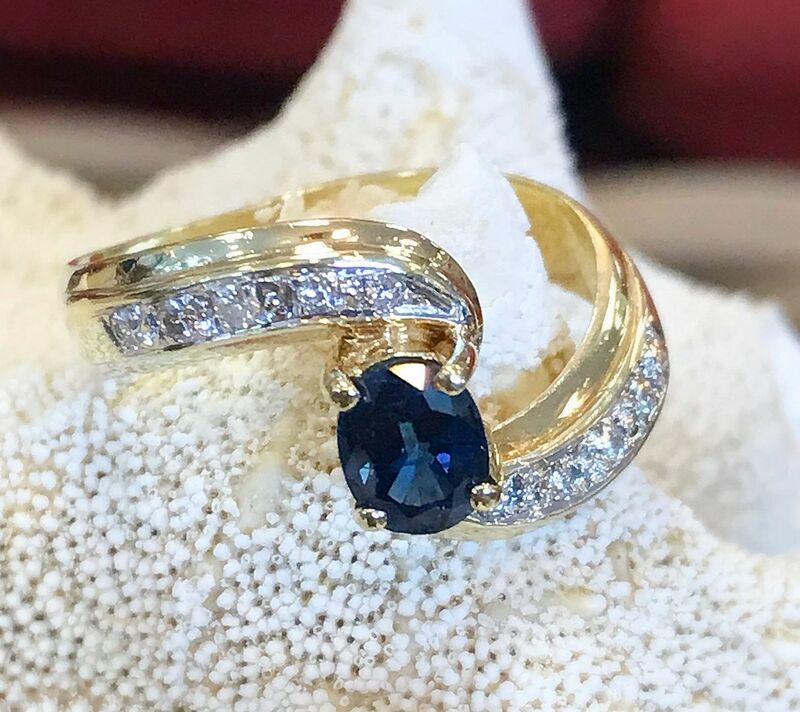 Blue topaz and diamond ring in 14k yellow gold, $295. Amethyst earrings in 14k yellow gold. 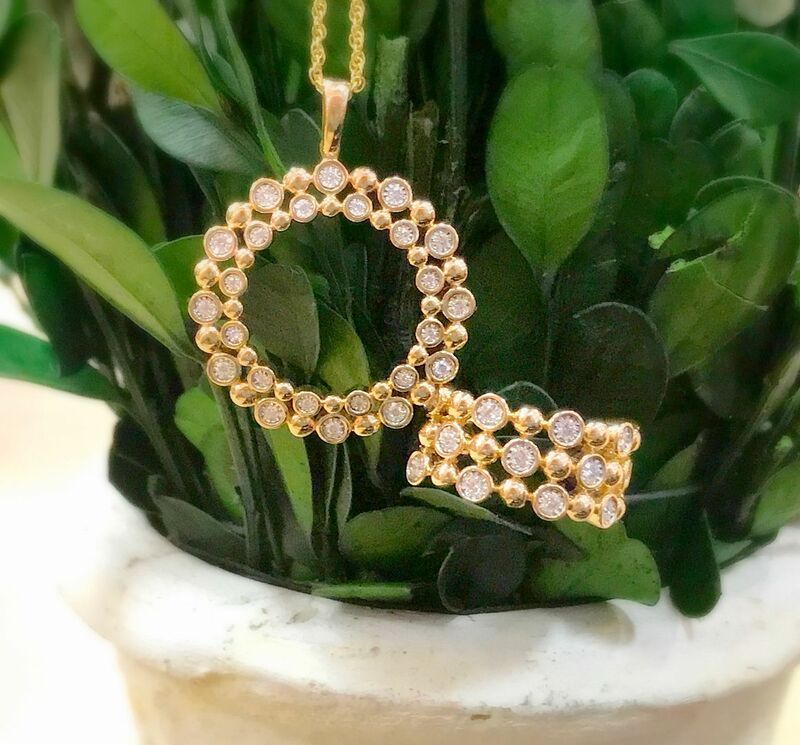 .50ctw diamond station necklace in 14k yellow gold. 17 inches, $895. 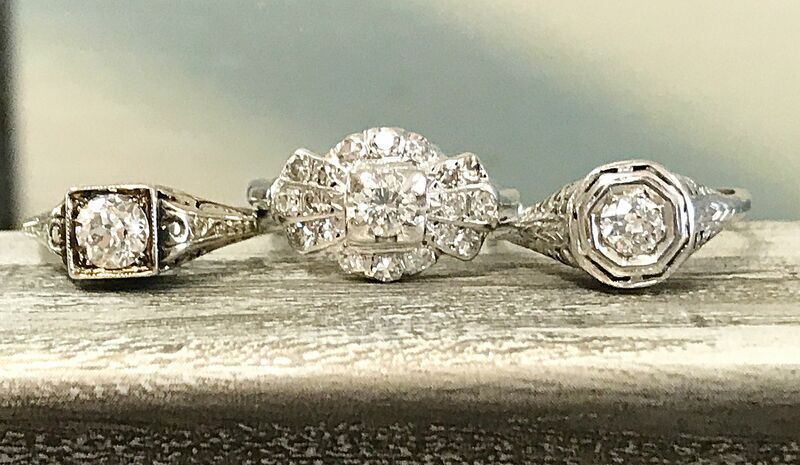 Speaking of treasures…you can click below to shop all semimount engagement rings, on special now through August 5th for 15% off. Use code SEMIMOUNT at checkout. Center stones not included. 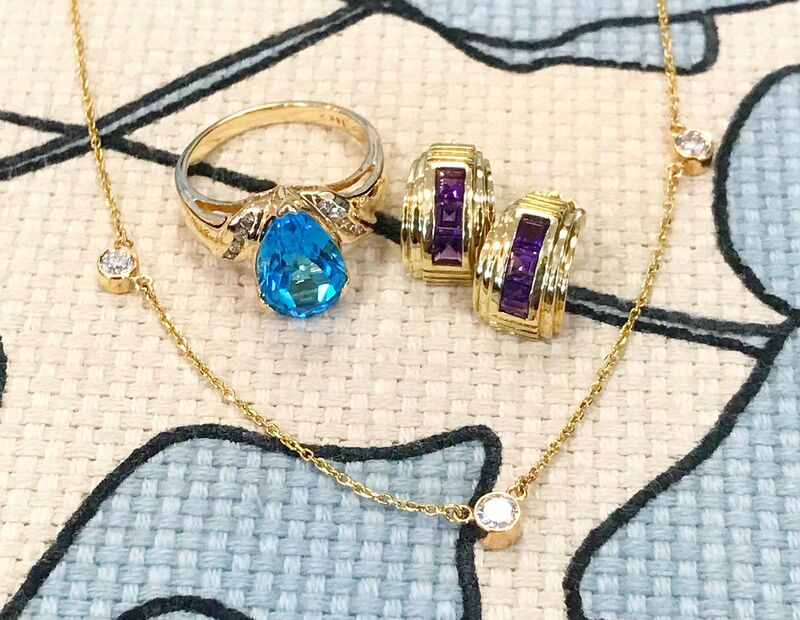 5th annual designer and estate jewelry sale August 23-25. Thanks for reading our email and have a great weekend!